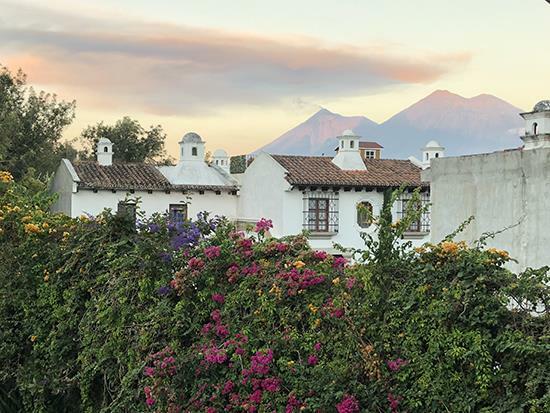 In addition, nine relatives and friends will join Rotarians including Matt Smanski, Janie Jacobson, Carol Moeser, Joe Becker, Toni Allen, Rotarian Don Drecktrah, Past District Governor Nancy Rhodes, and the Jacobsons’ twin grand daughters Allison and Christine Brankle for this year’s trip to Antigua, Guatemala. As with the seven previous teams dating back over the years we will stay at the Common Hope compound, and begin a work week of service bright and early on the morning of February 19th including building a house, teaching math skills in public “Common Hope Partner Schools”, making social work calls on CH affiliated families, and visiting 10 children sponsored by the team members and ERC. Common Hope’s mission simply put is literacy and education, and more specifically guiding children who otherwise would be lucky to make it past fourth grade all the way through to high school graduation. This is a big deal in Guatemala and serves to allow career paths in fields such as bookkeeping, medical, computers, mechanics, and tourism. The alternative is all too commonly a life of work in agriculture, which can begin with small children and often last a lifetime. Supporting housing, health care, and family stability are the tools that CH uses to create environments conducive to having children stay in school as long as possible. In the past 30 years more than 2,000 children of Common Hope affiliated families have been able to complete high school, in a country where only 40% of students enroll in 7th grade, and only 10 to 15 percent make it to high school graduation. In addition to students sponsored and enabled by Elmbrook Rotarians and friends, the club itself sponsors a high school senior at risk for dropping out, and has had volunteers travel to Guatemala in November of the past four years to attend the graduation ceremonies and to support the graduate and his or her family. 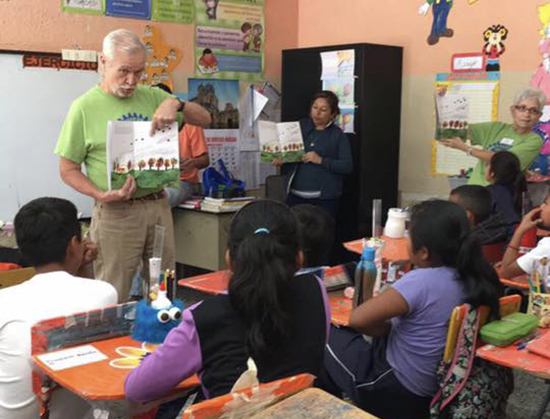 The Guatemala Literacy Project of Elmbrook Rotary was initiated in 2011 by then President Charley Shirley, and was chosen because of the demonstrated need, relative proximity to the USA, and the template of service Common Hope offers to provide teams with a highly organized and meaningful week of international service, all of which in the areas of concentration promoted by Rotary International. In the subsequent years 24 ERC Rotarians have participated, 7 Rotarians from other clubs, and more than 30 others, many more than once. There is already a team being identified and assembled for February of 2019, with the usual mix of newbies and veterans, of ERC Rotarians, spouses, and friends. Those interested in that or future trips may contact any club member who can answer your questions or direct you to those with more detailed information. 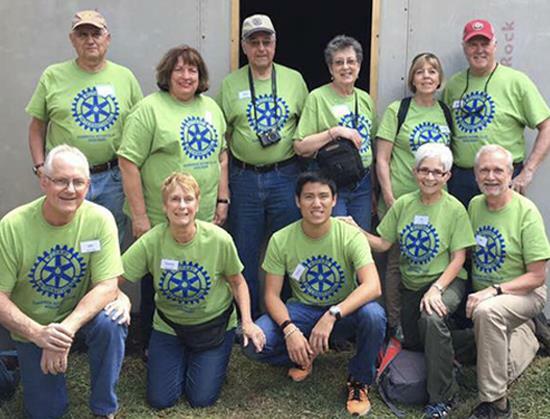 Images shown below are of the 2016 Elmbrook Rotary Guatemala Vision Team.